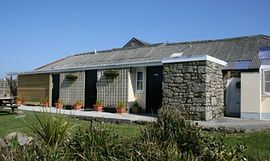 Penderleath Park's tranquil location is set in beautiful, rugged countryside, designated as a classified area of Outstanding Natural Beauty. 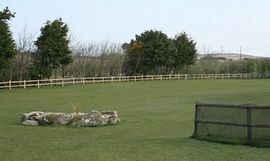 With our fabulous views, we overlook the North coast across unspoiled countryside towards the picturesque village St. Ives. 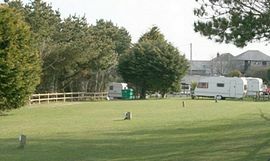 We are easily accessible from the main A30, and take great pride in the clean, friendly atmosphere of our park, with facilities for touring caravans, tents and motor caravans. 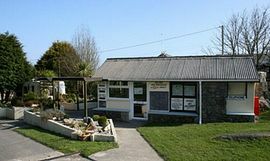 Our granite barns have been traditionally modernised to house a wide range of amenities: Licensed bar, games room, toilet blocks with free showers, hairdryers, launderette, dish washing room, small shop for gas and other basic needs, beer garden, Payphone. 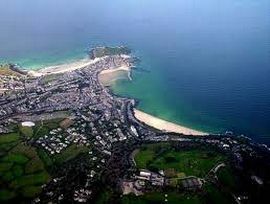 From A30 take St. Ives turn - off (A3074). Left at second mini-roundabout (Holiday Route to St. Ives). Approximately 3 miles to T junction. Turn left and then 1st right to Towednack. Take the left fork to the Park.